I wonder if you might have any idea where your Blacketers came from. My grandmother was a Blacketter (note the spelling) in Pike and/or Greene County in Illinois. As I understand it, there was a falling out somewhere along the line between two Blacketter brothers and one changed the spelling to Blacketer and subsequently refused to have anything to do with his brother ever again. I learned this some years ago from a Blacketer then living in Pike County. 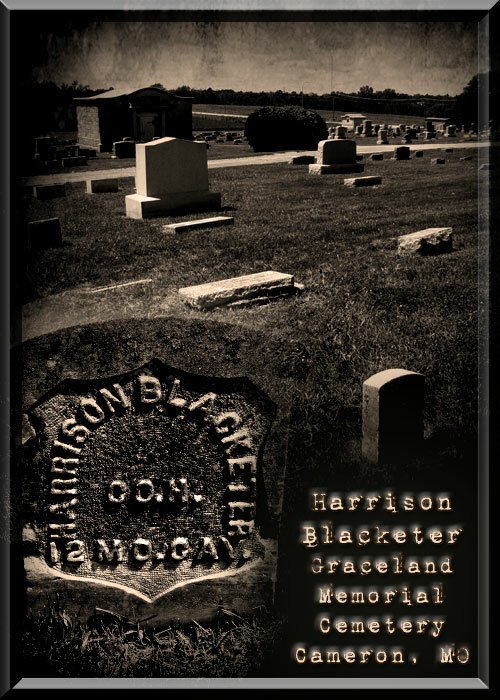 Harrison Blacketer's father was Howell Blacketer [b.12 Mar 1812 Boydton, Mecklenburg, VA & d. Mar 1887 Maryville, Nodaway, MO] and his parents were David and Mary (Cox) Blacketer. David's parents were William & Rachel (?) Blacketer. In researching the Blacketer's, I've run across several different spellings of the Blacketer family. Mine did migrate from Boydton, Virginia to Mercer Co, KY then on to Indiana before settling in Missouri. I know that several of David and Mary's children died in Indiana, James, Samuel (Parke Co), and Norman (Marion Co), as did their brother's (my Howell's) first wife, Martha. I am familiar with the Blacketer/Blacketter disagreement in Indiana. The way I heard it though is that the more current Blacketter's and Blacketer's were convinced that they were not related. However, since there was no standardization of the spelling of names until the advent of Social Security, I don't see how they can make that claim. It certainly would make sense if the discord was based upon a family feud. It wouldn't be the first spelling change due to a family feud. In fact, I have another in my family. Based upon my Blacketer (all spelling variations) migration and given name pattern research, they are related. The further you go back in time, the less Blacketer's there are. At the time they were in Kentucky, I did find another Blacketer from England, but it was easy to keep him separate from my Blacketer's. From which Blacketer/Blacketter do you descend from? If you want, feel free to click the gold "Contact" button on the left upper side of the screen. This will allow you to email me directly if you like. I will be attending my first family reunion next month. I'm looking forward to poking around the graveyards while I'm in the area. 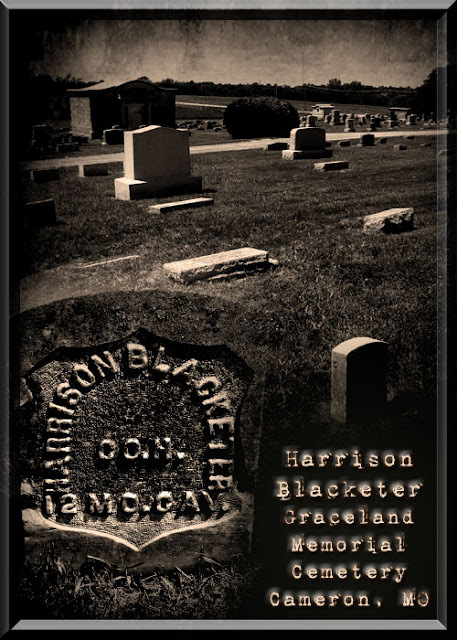 Find-A-Grave has a Samuel Blacketer buried at Heath Cemetery in McFall, MO. Judging by the information in the obituary, this might be your Samuel.